Over the past few weeks my son and I have been reviewing a once-a-week unit study done up by Homeschool Legacy. The unit my son begged to do was one called Knights and Nobles. I have to admit, when I received history unit study, I was initially unimpressed. For something that billed itself as a once a week study, it certainly seemed pretty intensive for every day. Trying to fit in all the reading, and then to cancel all activities once a week to focus on this study seemed pretty unrealistic to me. Also didn't make it seem "ONCE" a week. We read and/or looked through a ton of books we did. :) Not a bad thing that. My son thoroughly enjoyed this aspect of the unit study. We also watched some different videos. I've linked to one below. One of the activities we were supposed to do was make a lego castle. I could not convince my boy we should do this, so we looked up lego castles instead. Check out this really cool one on youtube. Homeschool Legacy incorporates scripture within their unit studies. For theKnights and Nobles study, the family devotional time focuses on King of Kings and Lord of Lords, Queen Esther, King Solomon, and the armor of God. This is a four week study, with the option to turn it into five weeks (a final feast). Topics of study include: .Castles, King and Queens, Knights, and Life on a Manor with activities and reading suggestions to support the theme. Four days: make selections from the reading list and read from the suggested list of book or watch suggested videos. Many of what was suggested was not available to me, so I took the theme to the library or to youtube and worked with it. It was not hard to find a variety of reading or viewing options on the weekly theme. This history unit study includes such once a week activities as family devotions, arts and crafts, history, field trips music, math and so forth. : it appeared to me that all aspects of learning where covered within this one unit of study. :) Nice eh? One of the weeks we were asked to do some illuminated art work. After some initial hesitation my son took to this like no ones business. He had so much fun designing LITTLE initials for a variety of the play characters he has around the house. They had to be small because his play characters are quite small. ALAS he would NOT let me take pictures of all of them because "they are private". :) But it kept him busy in all his spare time making up little picture shields for each of them. We had some fun with this unit study. My son for the most part did not want to do any of the crafts that were suggested unless he could do them in miniature for his play creatures. BUT we thoroughly enjoyed reading, and watching videos and discussing a whole variety of items we were presented with. We did more oral work than written, learning the meaning of such terms as medieval, calculating the length of the middle ages, and playing "stump dad". One of the field trips suggested was taking in a show at Medieval Times. We did this show back in March. I have to say this... should you study the Medieval ages.. Take in this show. :) It's a whole lot of fun. When we studied the life of a peasant and learned how hard they had to work, we made that practical by doing some digging in our gardens. "This is HARD work" mom was the complaint when we were done. It's good to be able to fit in practical work to make hard facts of history come alive. Format: available as instant download (grab-n-go) or as a physical pack (paperback). Price: $14-18.95 For more details on pricing go here. 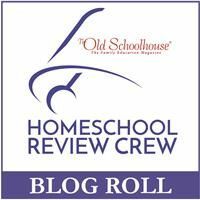 As you can see, the crew reviewed a whole variety of unit studies from Homeschool Legacy. You are invited to check out what we all thoughtHERE.